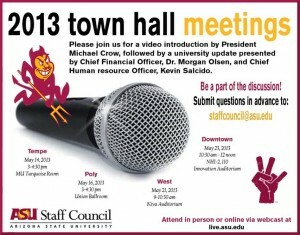 Join the ASU Staff Council for a Town Hall Meeting, including a video introduction by President Michael Crow and University updates presented by Morgan Olsen, chief financial officer, and Kevin Salcido, chief human resources officer. 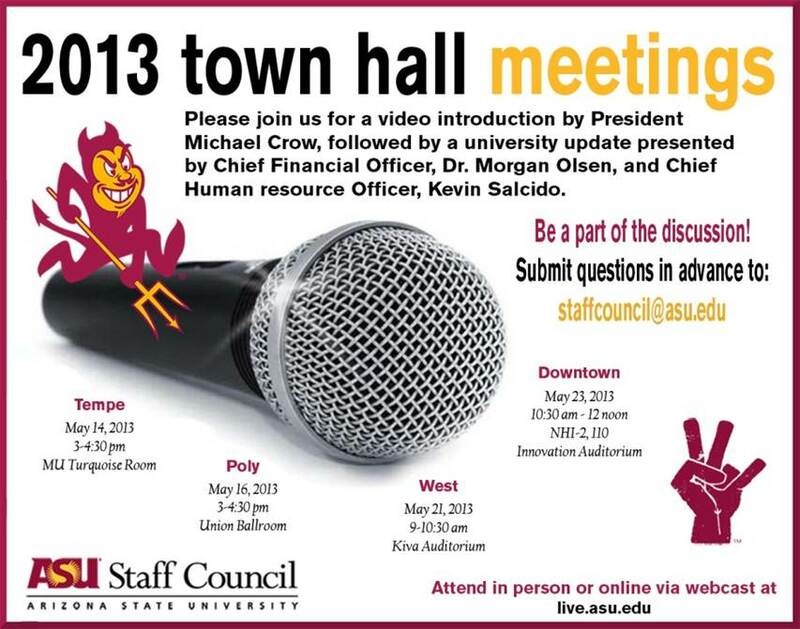 Submit questions in advance to staffcouncil@asu.edu. Attend in person or online via webcast at live.asu.edu.